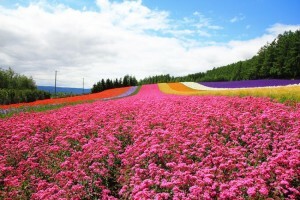 Also known as Heso-no-machi (Belly-Button Town) for its central location in Hokkaido, Furano is a popular skiing and wine-producing town in inland Japan. The city has a home-grown and rural feel to it, with vibrant lavender and flower-filled fields, cafés, and stands offering local snacks and specialties. Furano is perfect for any avid outdoorsman, with plenty of hiking, skiing, snowboarding, and bicycling, and no visitor can miss the chance to visit the stunning Shikisai no Oka fields. Daisetsuzan National Park, near the city of Furano, is the largest national park in Japan, spreading over 1,400 miles (2,260 kilometers). The name translates to “Great Snowy Peaks”, and the mountain range offers some of the most challenging and robust hiking trails in the country. The park is also famous for its onsens, traditional bath houses, as well as its wide variety of wildlife, including the Hokkaido brown bear and the pika. Considered a national treasure for the rare algae it grows under its surface, Lake Akan was formed many millenia ago due to volcanic activity. The lake has plenty for both families and single travelers, including sightseeing boat excursions, camping, and bicycling. Every year in October, the locals put on the Marimo Festival, a celebration of the round spheres of algae found in the lake, and to pray for the lake’s continued prosperity. 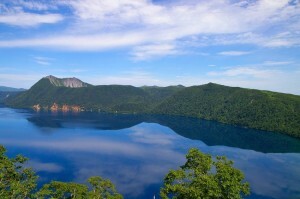 Located in Shiretoko National Park, the Shiretoko Five Lakes are the most popular sight in the entire park. The five lakes are connected via railway, and a round trip to each lake will take you a total of an hour. The lakes are gorgeous for hiking, leisurely strolling, nature cruises, and wildlife watching. Lake Mashu is world-famous as one of the clearest lakes in the world, with visibility underwater between 60 and 100 feet (20 and 30 meters). Visitors can take in the breathtaking scenery of the lake from various observation towers around the perimeter. Hikers looking to get their blood pumping will love the different trails between the observation decks, and the lake also has food and shopping facilities for visitors. On this trip, you will have a chance to stay at six different onsen hotels with natural hot springs, taste delicious fresh Hokkaido seafood, and see the unforgettable Moss Cherry Blossom blanket the entire Higashimokoto Shibazakura Park like a giant fuzzy pink carpet. Cool off from the heat in the -15c° simulated drift ice room in Okhotsk Ryu-hyo Museum where a wet towel freezes within seconds. Visit the Farm Tomita in Furano to admire one of the oldest lavender fields in Japan and many other colorful seasonal flowers in full bloom stretched across the rolling fields, a wonder that only occurs in the summer. As Fall sweeps across Hokkaido, ride the Mt. 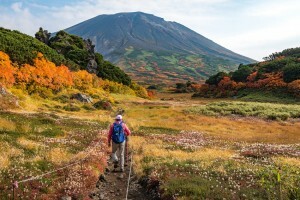 Kurodake Ropeway for a splendid view of Daisetsuzan Mountain Range covered in vibrant hues of Autumn. Try Moor hot springs, unique to the town of Otofuke. Soak in the golden-brown water enriched with native organic matters and leave feeling rejuvenated and your skin silky smooth.